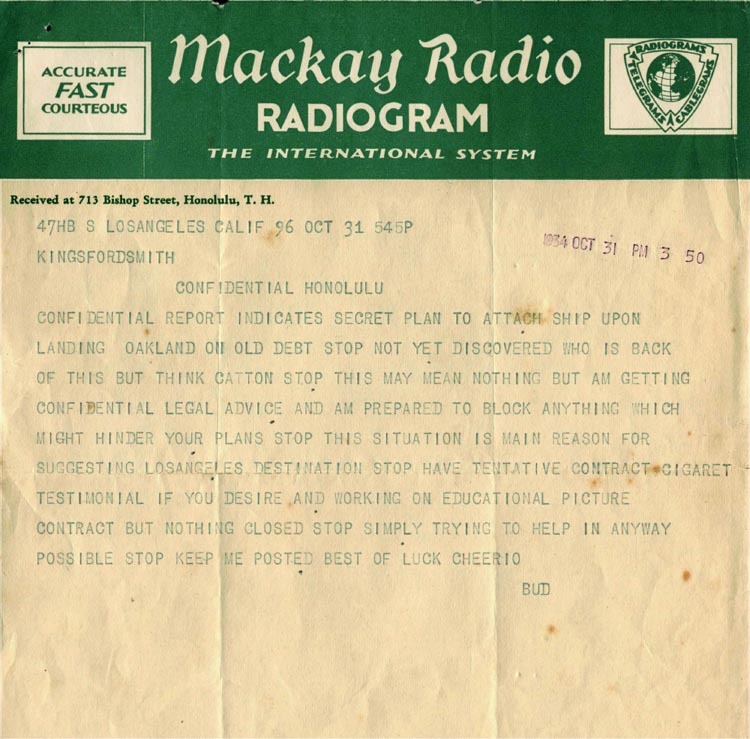 This Radiogram was sent to Smithy in Honolulu on 31 October 1934 to advise him of the possibility that a creditor might attempt to attach a lien to the Altair on arrival in Oakland. For this reason there had evidently been a suggestion that the flight from Honolulu should go to Los Angeles in lieu of Oakland. The sender was Percy G. B. ‘Bud’ Morriss, a pioneer aviator who clearly had Smithy's best interests at heart. Thomas R. Catton claimed to have rendered services to Smithy during the preparations for the 1928 Pacific Flight in the Southern Cross.